RCA Victor 143... housed in an exceptionally beautiful neo-classic cabinet. 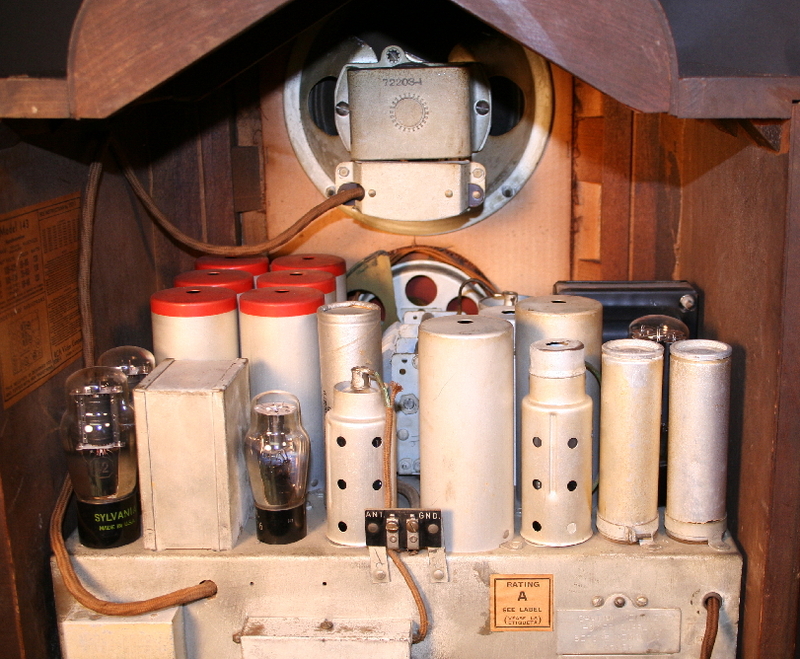 vernier drive" and a "visual band indicator". audio output) and 5Z3 (rectifier). Schematic. real in its approach to actual music and speech. 20" high, 177/8" wide, 14" deep. Table model 143... 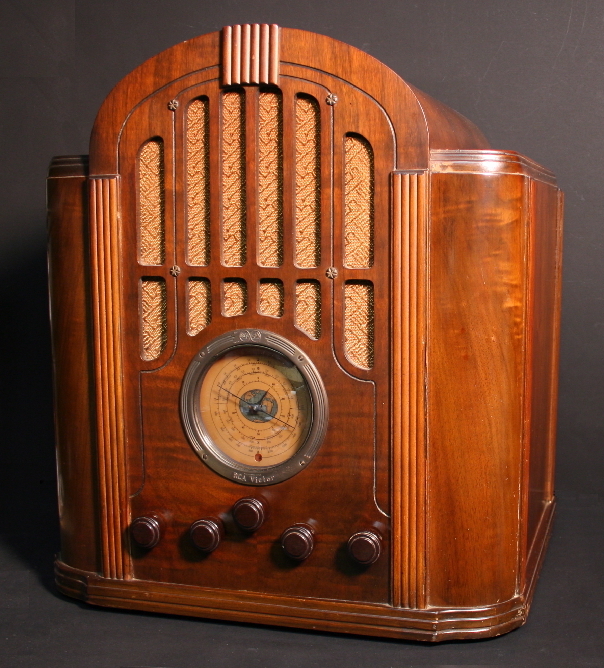 The radio with the "Magic Brain". and measures 20" high, 177/8" wide, 14" deep. 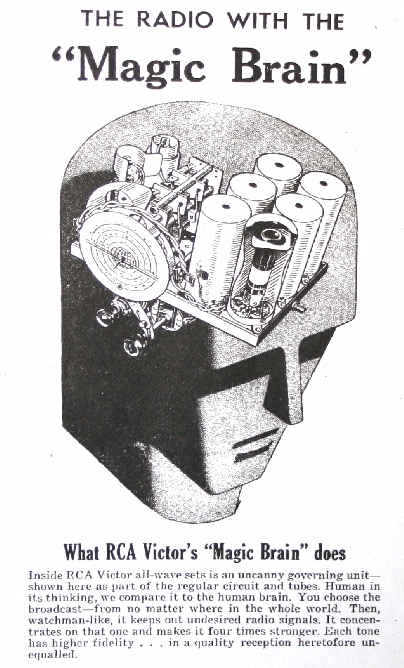 See my model 128 page for more details on the RCA "Magic Brain".